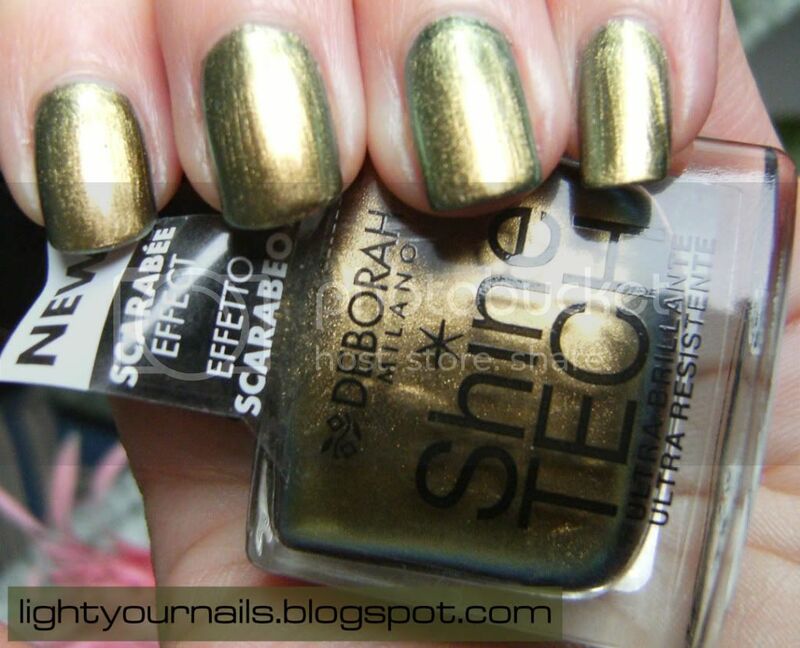 Deborah Shine Tech n. 72 (Scarab Effect) | Light Your Nails! I have a picture of the bottles, but I only bought this one! 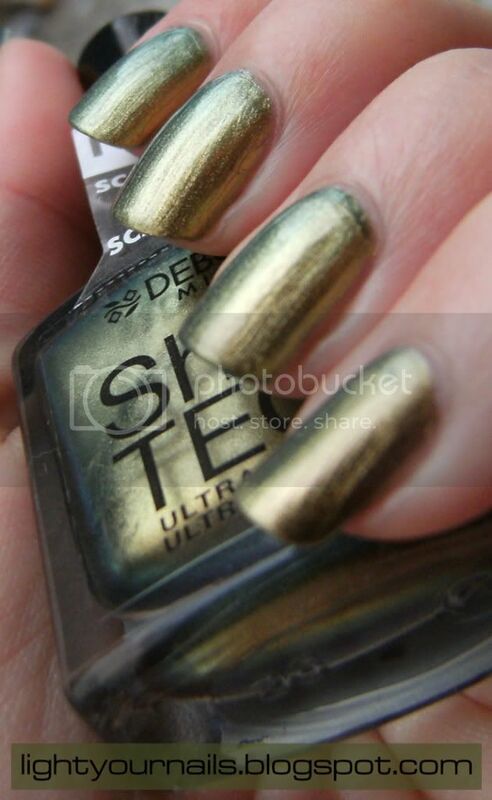 There is one which is very similar to this, but lighter in colour. 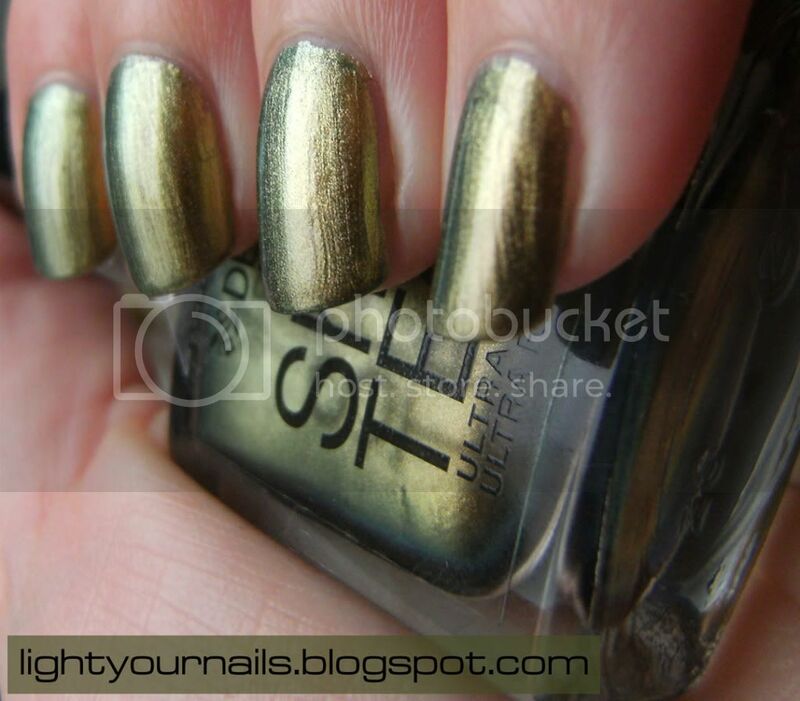 Then a bronze one which is not very duochromey. Then a green to blue one which was too bright, and the usual gray to lilac that you find by every brand. Really? One is enough for me! Plus it's not so very cheap (7,90€/10,30$). Yell if you'd like it! Preso anch'io, ma non l'ho swatchato!! Comunque sono tutti e 5 molto belli! Merita! Però solo questo chiamava il mio nome! Dei 5 questo è sicuramente quello col duochrome più marcato. 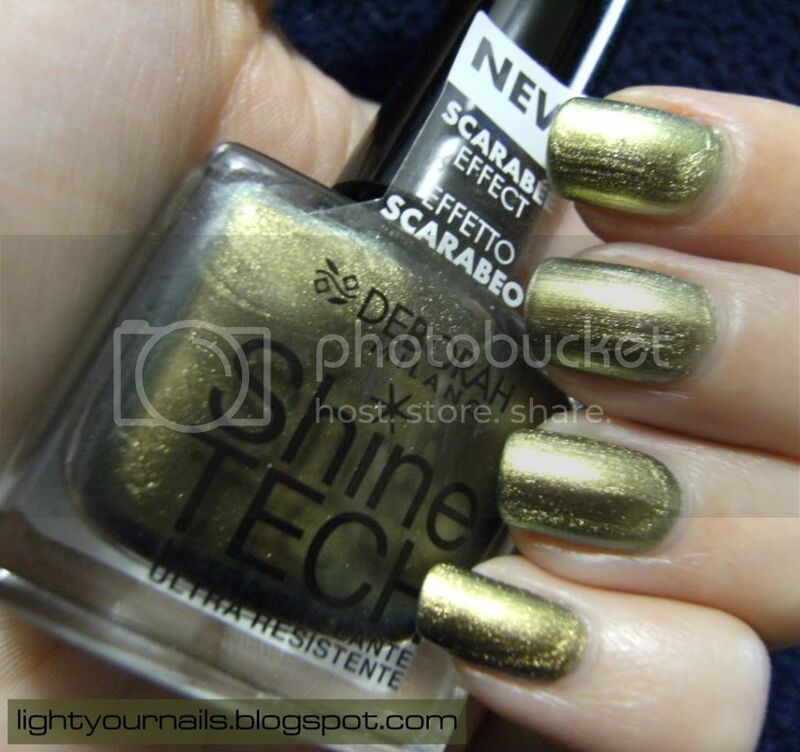 Forse non si capisce dalle foto ma è MOLTO duochrome! 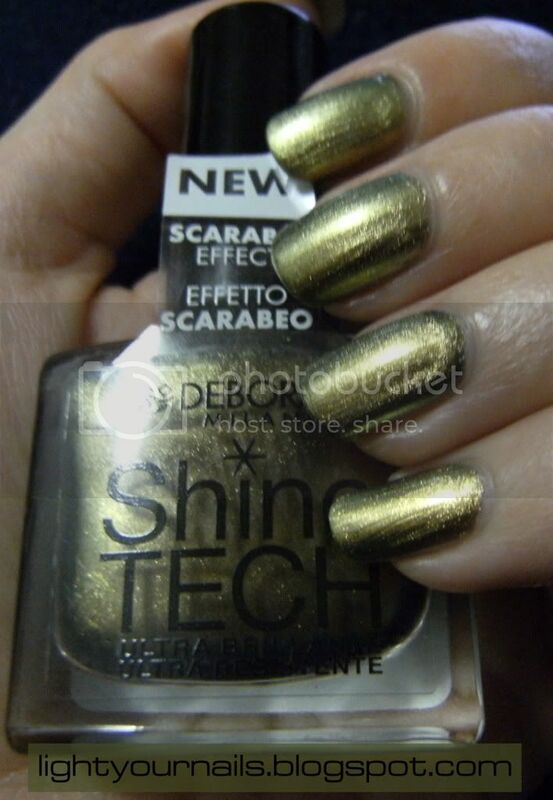 Da quel che ho visto il Catrice ha molto bronzo, questo Deborah no invece (ce l'ha ma lo vedi pochissimo). Ma va!!! Io le odio che si spezzano gli angoli in continuazione! !